Not for the moment maybe next year if we can find some Outlander used rear set up. Where did you relocate the SRS sensor airbags? 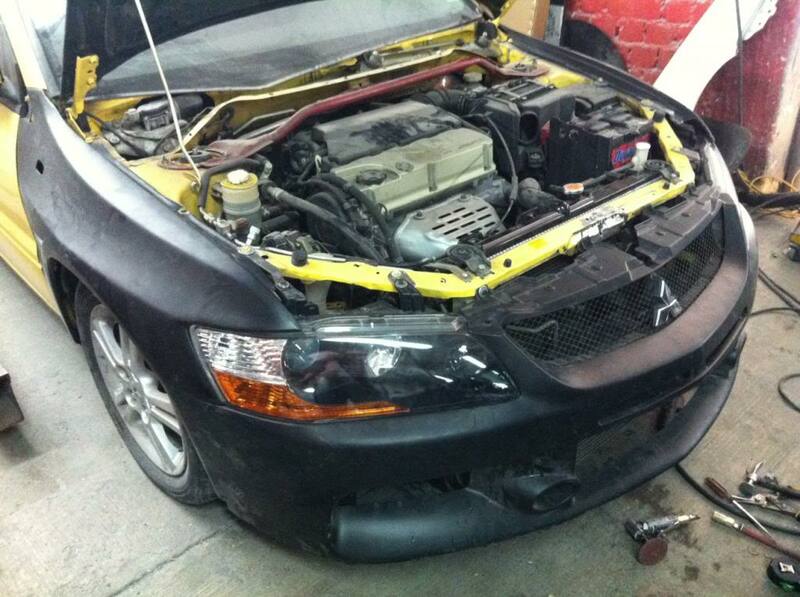 The SRS sensor airbags were relocated on the chassis in front of the radiator, I mean on the corners. 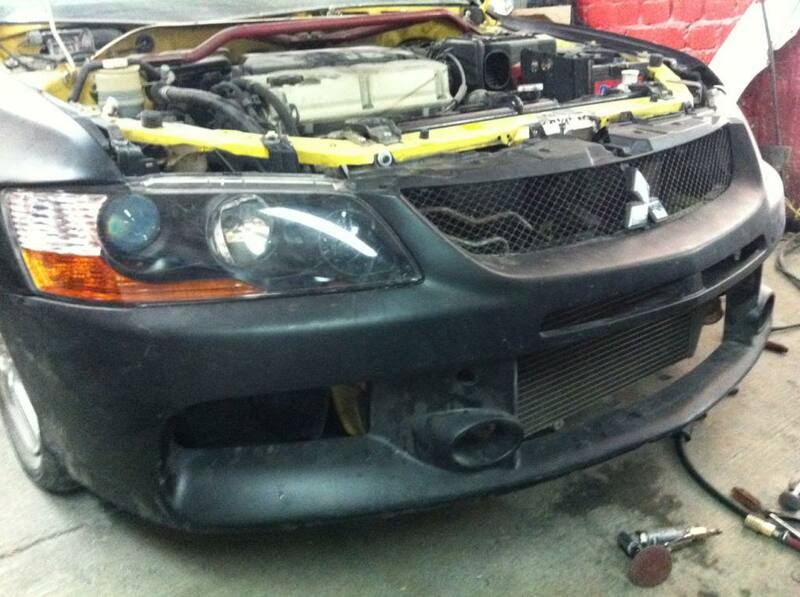 The front bumper and the inter-cooler are ready and it looks very nice! I will post pictures of that on next week. Looks awesome! I cant wait to see the rear fenders! This is looking great so far! I'm looking forward to seeing the rear pics. I'm impressed. It looks good so far. I keep seeing people asking about doing this, and everybody just bashing them. Pretty positive feedback so far. 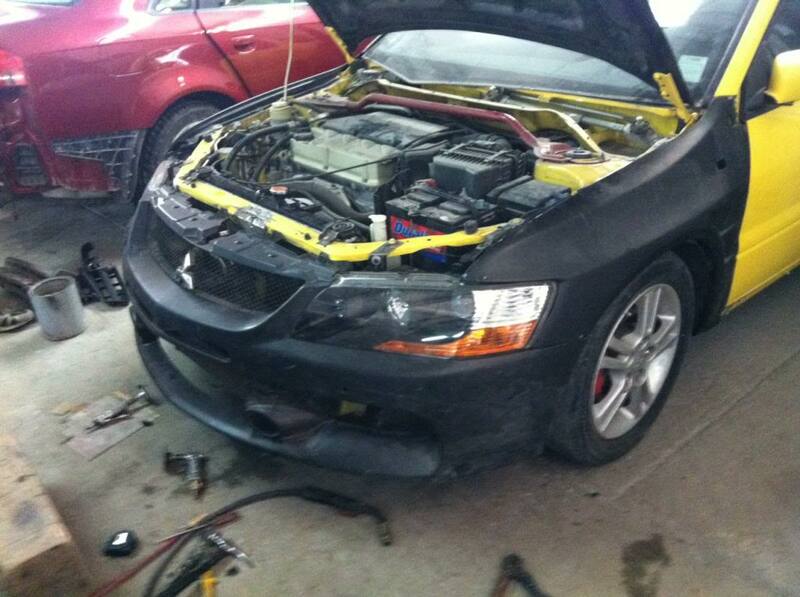 Good luck with the rear end, I hope it comes out nice! 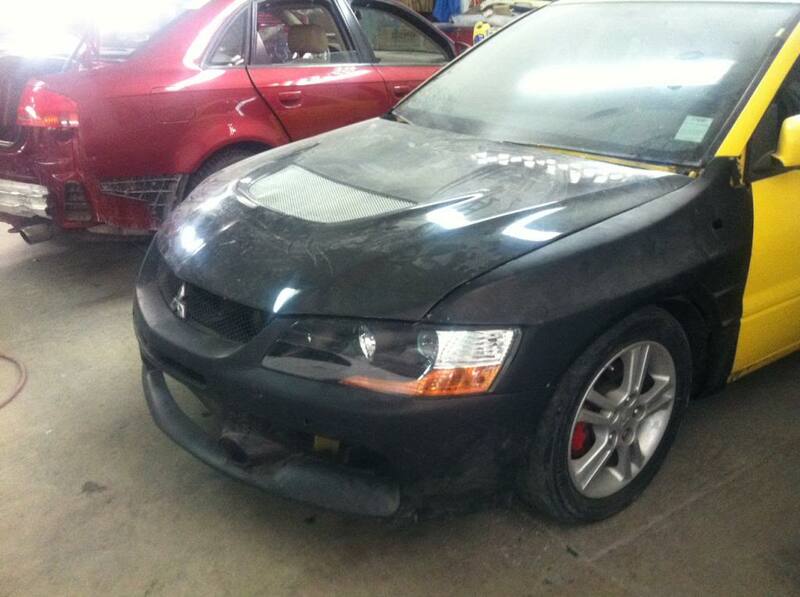 The front spoiler will be installed after the paint process because is carbon fiber and it wont be painted.